There are tales that Giants roamed our lands. Gigantic bones enigmatically poking out of the ground have, until fairly recently, led to some wonderful creations of mythical creatures. With a relatively unexplored world and with only a handful of animals known to people, any bone, especially disproportionately massive, would lead to some spectacular creations. In ancient times, large bones found were thought to belong to Giants. 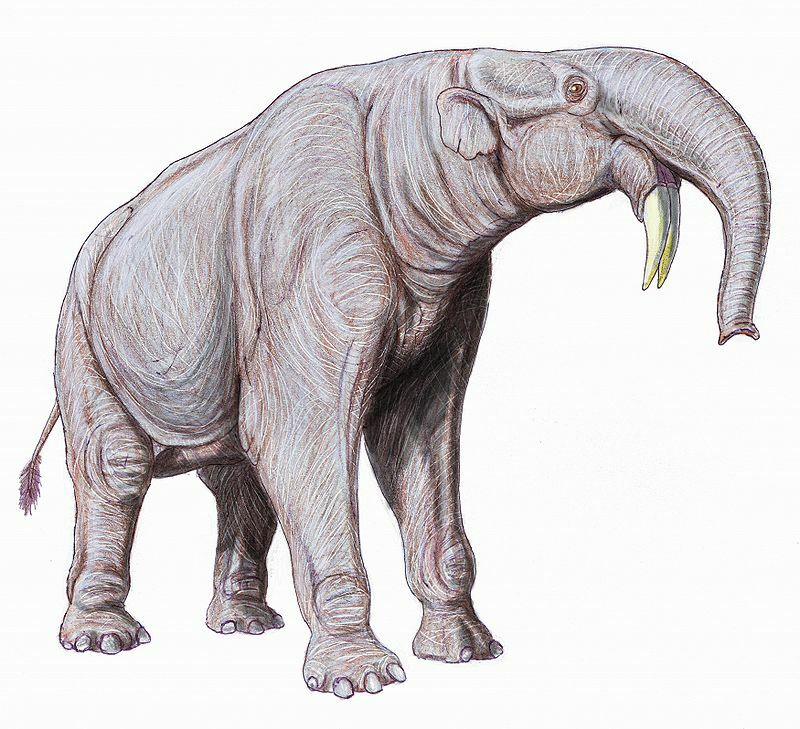 Even as recently as 1678, fossil dwarf elephant remains found on Sicily were examined and told to be the bones of giants. In the 1500 and 1600s, the only rational answer for enormous bones found that could not be explained, was, obviously, evidence of Giants that once roamed the world. With quaint old, white walled buildings radiating the suns warmth, topped with terracotta tiles, the picturesque city of Chaumont, in Eastern France was once thought to belong to giants. One place in this city, was known as the Field of Giants. Here, huge bones had been found for decades. Early in the new year in 1613, digging deep in the ground, an enormous skeleton was discovered. So enormous were the bones, that they deserved a story just as gargantuan. A local surgeon acquired the bones and (as an expert) identified them as belonging to a giant; King Teutobochus, a King from the first Century BC. The bones were not those of a giant man. It was only a few decades ago, in the 1980s, that casts of the original bones were actually looked at and identified as belonging to the awesome giant elephant, Deinotherium. Evolving in the Early Miocene, around 20 million years ago, this distant cousin of the modern day elephant was a massive animal. Overshadowing a double decker bus, with a height of around 4.5 meters, the Deinotheres were the biggest Proboscids. For a group that was around for almost 19 million years, it wasn’t particularly diverse, with only three known species; Deinotherium giganteum, D. bozasi and D. indicum. Then again, a small number of species within a Genus does not necessarily mean they were not successful. Far from it. This was a very specialised Genus, which evolved in Africa and spread out across Europe and Asia. What’s more, the average time on Earth for a vertebrate species is just one million years, these three species were around for a combined 19 million years. Deinotheres (which literally means terrible beast) were also very strange beasts with some extremely peculiar features. Sticking out as just plain odd, the tusks are the most noticeable feature; unlike the familiar curved iconic tusks of modern elephants and mammoths, these tusks curve backwards and from the lower jaw! We are not sure why they curved back. Maybe they were used to scrape bark from trees, or were key for a male to secure a group of females. What we do know is that these unique tusks served a purpose because this group were around for a long time. Other parts of the head were equally weird when you look a little closer. The teeth were not like the flat, grinding teeth of elephants around today, they were ridged, and appear to be for shearing their food rather than crushing it. The shape of the head itself was weird; it was actually pretty small for a creature of this size. Shorter, and flatter on top, the large nasal opening suggests a strong, powerful trunk. But as the soft parts do not fossilise, we can’t say how long or short it was. Looking at the whole animal, it is likely to have been fairly long: the legs of Deinotheres were longer that the squat Woolly Mammoths, so a long trunk would be needed to reach to the ground, if only to drink. Deinotheres would have been an incredible sight for human eyes. In fact, the longest living species which survived right up to the dawn of the Twilight, Deinotehrium bozasi, survived up until around 1.6 million years ago where some human species would have been around to witness this incredible creature. The other two species died out long before; the Asian D. indicum became extinct around 7 million years ago, and the European D. giganteum, became extinct somewhere between 4 and 2 million years ago. Africa sustained Deinotherium bozasi for a very long time; almost as long as the Genus itself. If it was so successful, for such a long geological range, why did this wonderful giant die out? Humans were not the culprits for the demise of these beasts. D. bozasi fossils have been recovered from sites in Africa alongside species of hominins, for example, the famous Laetoli site. However, there is no evidence that they were hunted, or butchered. Something else was happening. Something big. To the very east of the African continent, forces deep below were slowly ripping the land apart. Very slowly, the East African Rift Valley was forming. Covering the Earths hot, molten interior is a thin crust; wafer thin in the oceans, and a little thicker on continents. This crust doesn’t cover the whole planet in one nice wrapping, like an egg shell. Rather, it is incredibly active; spewing out the molten blood of the planet in some places, and devouring old crust in others in a eternal cycle of growth and destruction. What enables the planet to be so active (which ultimately enables life to have evolved, climate to change, and sea levels to rise and fall), is the crust is made up of plates. Where tectonic plates meet different things may happen. If two plates ‘slide’ against each other this can cause severe earthquakes, as seen in the San Andreas Fault in California. If a plate is being pushed beneath another plate, the old crust is slowly being dragged deep down back inside the very belly of the Earths to be melted back to molten rock again, as can been see off the islands of Japan. Two plates being pushed apart allow new hot molten magma to be pushed up, creating new crust, and can push continents apart or create vast oceans (like the Atlantic Ocean). In East Africa, we are witnessing the formation of two new tectonic plates and the very beginnings of a new ocean (albeit, extremely slowly!). Beginning around 20 million years ago, extensive hot magma forced from deep within the planet has been pushing its way up, forcing the eastern side to be pushed eastward, and a few miles on the western side to be pushed westwards. Eventually this will spread large enough to push the two plates apart, creating a new ocean. What do plate tectonics have to do with the end of the last Deinothere? Surprisingly, it seems, it may be rather a lot. This whole region in East Africa is an extremely active area, and has been for the last 20 million years, with numerous volcanoes along its length. All of this activity, with earthquakes, volcanic eruptions and new land forming will have an effect on the surrounding environment. The area is hotter, and drier. Coupled with the intensive climatic changes of the Pleistocene, the African landscape has changed significantly in the last few million years. Forests have given way to more open grassland savannahs which can tolerate drier environment; and the shrinking of forests resulting from the activity of the East African Rift Valley is one of the theories that pushed early hominins out of the trees and into the open grasslands. 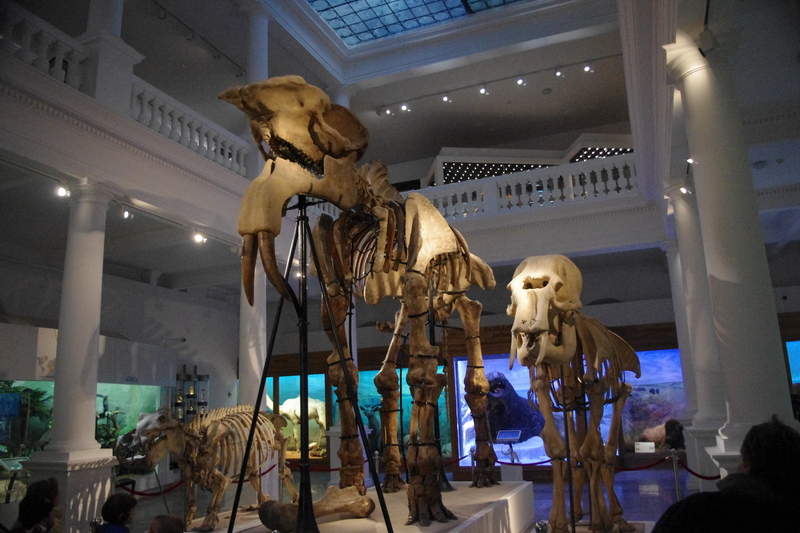 With a drastically changing environment for such an enormous, specially adapted animal, it appears Deinotherium bozasi could not adapt quick enough. This incredibly successful animal vanished from our world forever. But not before small groups of hominins saw herds of these creatures trumpeting across the landscape. This entry was posted in Deinotherium and tagged Chaumont, Deinotherium, Deinotherium bozasi, Deinotherium giganteum, Deinotherium indicum, East Aftican Rift Valley, hominin, Plate tectonics, San Andreas Fault, Teutobochus, Woolly Mammoth. Bookmark the permalink.